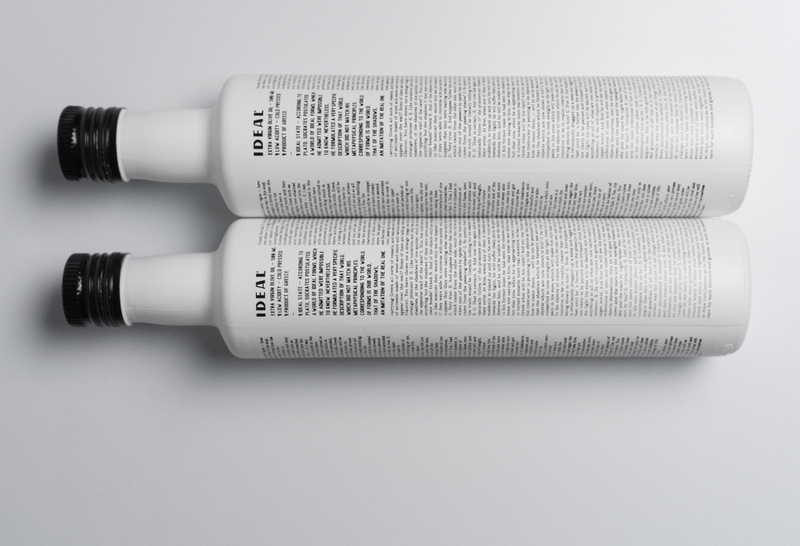 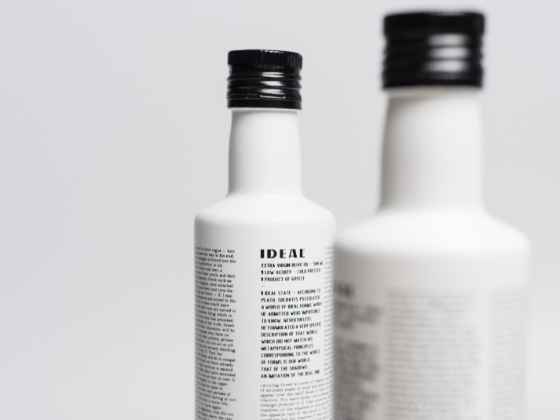 The Extra Virgin Olive Oil packaging we designed for the our Greek client “IDEAL” is departing from the name of the in 1933 established company. 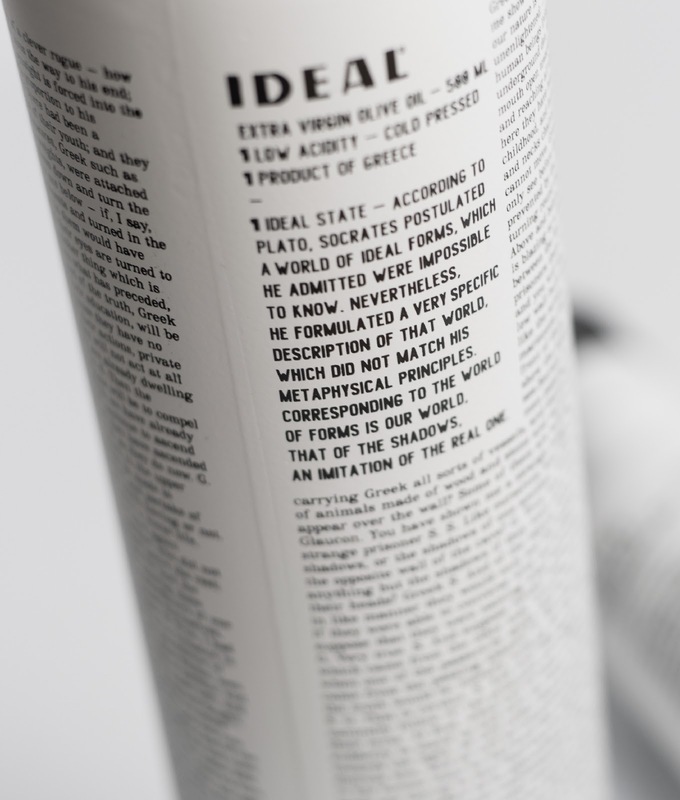 Linguistically speaking the word “ideal” is derived from latin “idea” (“a (Platonic) idea; archetype”), from Ancient Greek ἰδέα (idéa, “notion, pattern”), from εἴδω (eídō, “I see”). 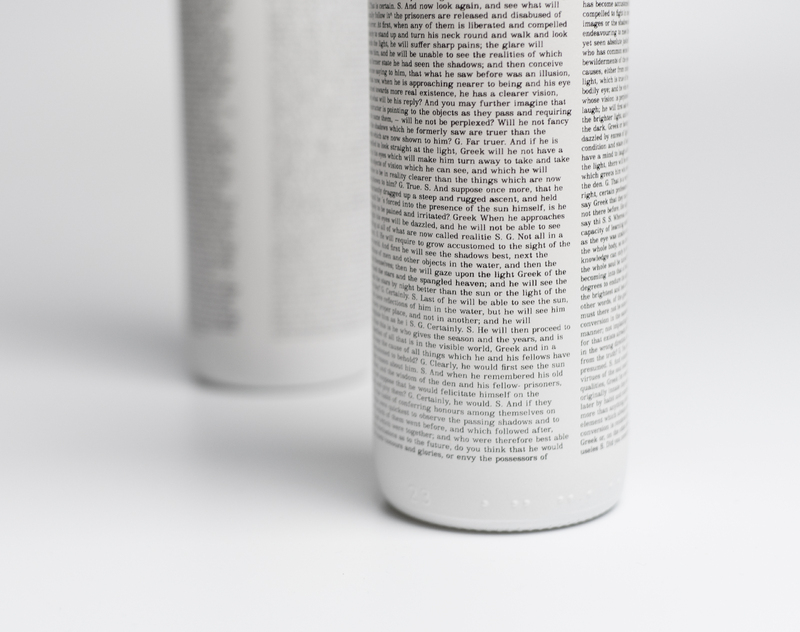 Obviously we couldn’t escape thinking of Plato and his “Theory of Ideas”, which holds that non-physical (but substantial) forms (or ideas) represent the most accurate reality. 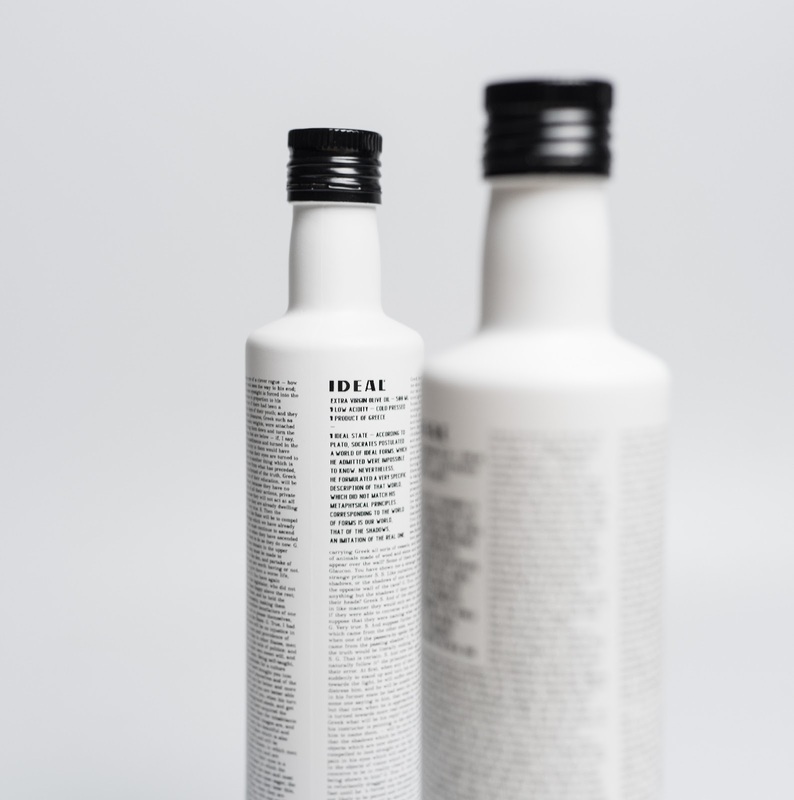 Since packaging in our world is often characterized as belonging the the “ephemeral” or “superficial” world of “appearances” we thought that this design could be a “ideal” allegory. 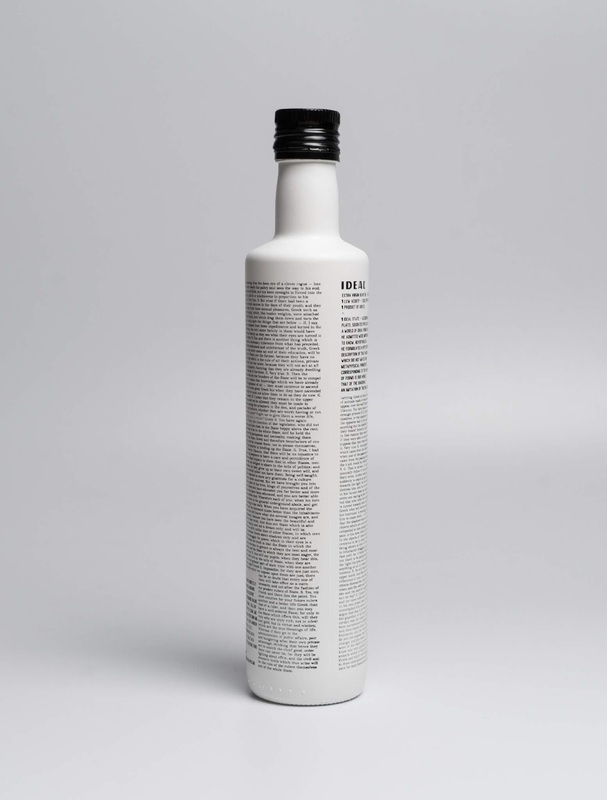 By typesetting Plato’s famous text the “Allegory of the Cave” on the surface of a white painted bottle we aim to turn the consumption of Olive Oil in to a philosophical opportunity.